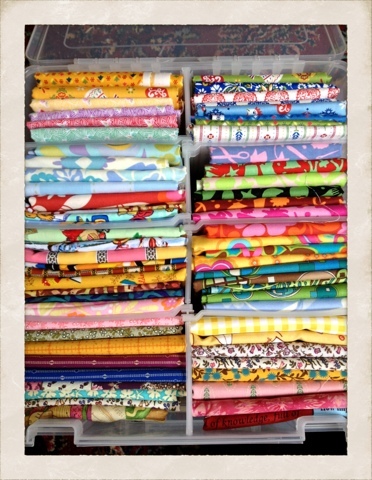 Mom gave me so much gorgeous fabric! 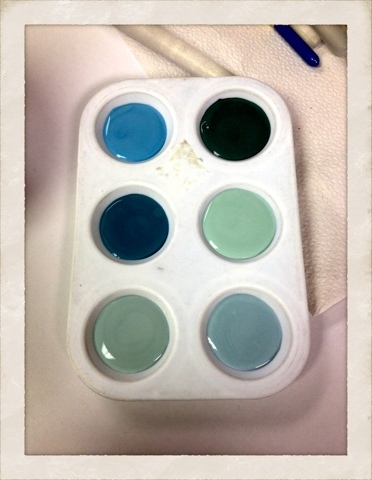 Jenny and I went to Claytime and we painted me some small bowls for all my sewing supplies. My lovely husband not only gave me pink gardening supplies and tools (!! 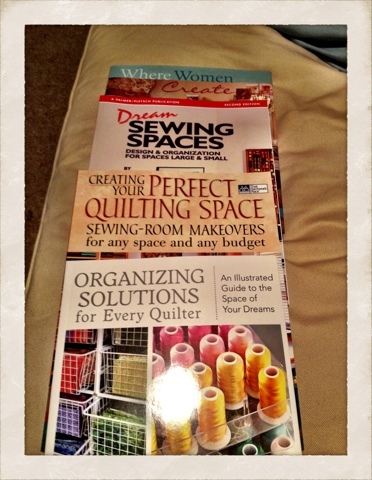 ), but these awesome books so I can make my sewing room the perfect space...and he got me my faux-Tiffany necklace! 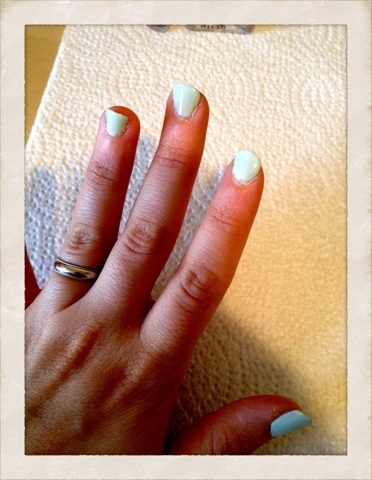 And of course, a little nail painting...I did my nails in Essie's Absolutely Shore.